National Mom and Pop Business Owners Day celebrates small business owners. These individuals spend countless hours nurturing and growing their young enterprises. The workload demands, and lack of a hired staff, often translates into long and late hours, and many missed family and personal events. But, all in all, they love what they do. Click here to read more. 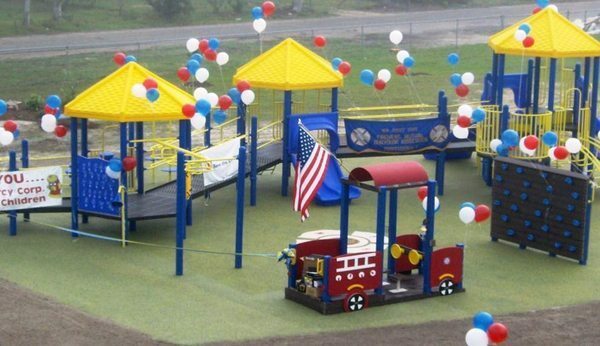 Help us support the New Jersey Firefighters who are trying to raise $2 million dollars to build 26 playgrounds in areas devastated by Superstorm Sandy. Each playground will honor a victim of the Sandy Hook Elementary School shooting. Click here for an article with more details, then visit one of our stores to donate to our Big Belly Banks. All funds raised will be sent to this cause.